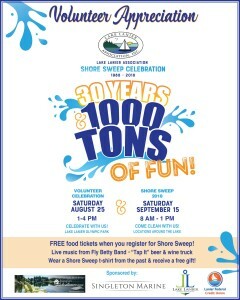 Join Us For The Shore Sweep 30th Anniversary and Volunteer Appreciation Celebration! Trashout App for reporting trash sites! We are trying something new this year in preparation for the Shore Sweep event. There is a free app called Trashout (both Android and iOS) that the LLA is asking members to download on their mobile device. You need to do a one time simple account set up and log in. 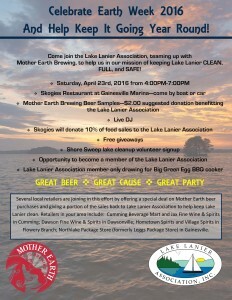 Pick the Lake Lanier Association as your affiliated group. When you are out enjoying the lake and you see trash on the shore or islands, you simply take out your phone and launch the Trashout app. You take a picture, pick the kind of trash it is (plastic for floats, household trash, etc.) and the app will mark the coordinates and upload the picture. From there we will be notified of where the trash is located. Shore Sweep 2014 is coming up on Saturday, September 27th, 2014! The advance drop off locations are NOW OPEN! For the actual day of the event next Saturday, we have ten different participating locations that you can choose to report to volunteer — Bald Ridge, Holiday, Aqualand, Sunrise Cove, Gainesville, and Port Royale Marinas, Lake Lanier Islands, Clarks Bridge, Gwinnett and War Hill Parks. The sites open at 8:00AM and will stay open until 1:00PM. We need volunteers by land as well as by water. For our by water volunteers, power boats, jet skis, pontoons, kayaks and canoes all have a place at this event. In addition to the day of the event participating locations, we also have eight advance drop off locations around the lake. The advance locations are open now and will stay open through Friday evening, 9/26. You can go ahead and bring bagged trash or large items and leave them at one of these locations. We have volunteers with boats scheduled to pick up at all these locations on Saturday morning for removal. Especially if you are not available to help with Shore Sweep on 9/27, bringing items to the advance locations during the week is a great way to contribute to this event even if your schedule won’t allow you to be there on Saturday. For the advance locations, THEY ONLY ACCEPT TRASH WHILE THE SHORE SWEEP SIGNS ARE IN PLACE. Please DO NOT bring trash to these locations other times of the year. Below is the list of advance locations. If you bring trash to any of these locations, please look for the signs posted and leave the debris close to the signs. 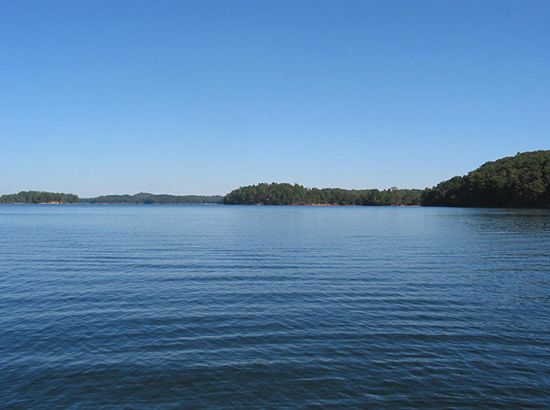 The lake map coordinates are from the Atlantic Mapping Recreation and Fishing Guide for Lake Lanier. Great article on Lake Lanier Association Board Member, Bonny Putney, in the August 2014 issue of Lakeside News by Pam Keene. Putney had transferred to Georgia to work for her father’s hazardous-waste disposal business, which she did until 2000. She moved into the Lanier Beach South condominiums on the south side of the lake and spent her free time getting to know the lake. Along the way, she met and married attorney Paul Putney and the two of them built a home on property that has been in the Putney family since the early 1960s. Paul had grown up on Lanier and the two shared their love of water and the environment. The couple continues to get out on the lake all year long for fun – skiing, boating and visiting with friends. They’ve dubbed their home “Putney Island” and it’s the location of frequent get-togethers around the fire pit and surrounding area that’s decorated with numerous whimsical found and recycled objects, including old doors, parts of abandoned boats, kayaks, canoes and even a chandelier made from bottles retrieved from various clean-ups. Bonny, who also enjoys being an artist for herself and her friends, maintains an art studio on the property where she creates mermaids and other sea creature sculptures bedecked with beads, glass and bottle caps. After rotating off the Lake Lanier Association board nearly 10 years ago, Putney has further spread her wings on the environmental front, at first volunteering for the Upper Chattahoochee Riverkeeper, then working for the organization for six years. She’s also logged many hours working on the boards of Rivers Alive, Georgia River Network, Friends of Gainesville Parks, and Hall County Green Alliance. 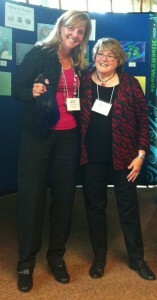 During the drought, she championed the rain-barrel cause, teaching numerous classes about water conservation. Putney rejoined the board of the Lake Lanier Association this year and works closely with Executive Director Joanna Cloud and the group’s leadership. She has once again become a driving force with Shore Sweep, as well as helping manage the association’s ongoing clean-ups throughout the year. 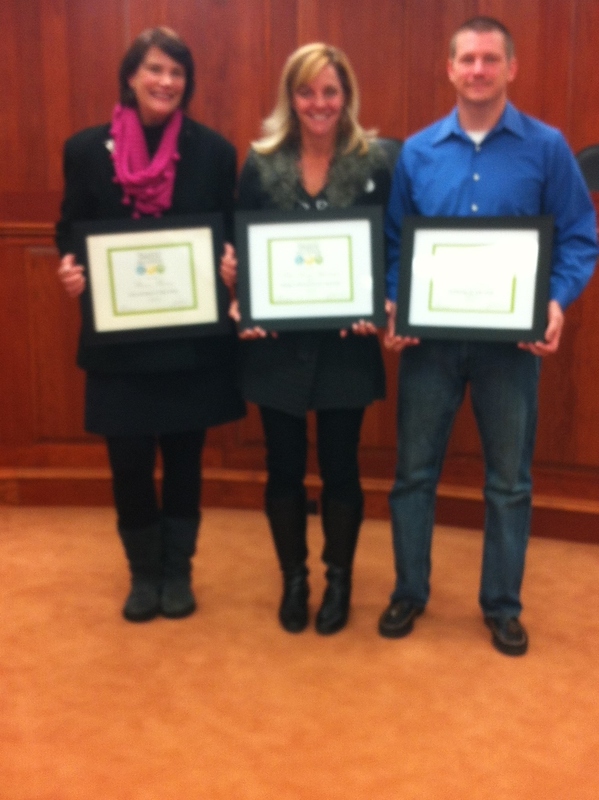 Recently, Putney was named Volunteer of the Year by the Hall County Green Alliance. In her spare time, Putney paddles both popular and little-traveled rivers, lakes and streams throughout the Southeast. She’s done the week-long Georgia River Network’s Paddle Georgia every year since its inception 10 years ago, and she frequently leads paddles for novices and experts. She’s paddled most of the Chattahoochee, the Apalachicola and the Suwannee River, and she’s even paddled offshore in Florida from Key Largo to Key West. Congratulations to Lake Lanier Association’s Joanna Cloud on being named the Organizer of the Year for 2013 from Rivers Alive for the Lake Lanier Shore Sweep event! Lots of people say they have organizational skills, Joanna’s got the award to prove it! Banner day for the LLA! Today was a banner day for the Lake Lanier Association! The Hall County Green Alliance had their annual awards ceremony this morning and, of eight awards given, three went to LLA representatives! Bonny Putney was awarded Volunteer of the Year, Robert Eidson was awarded Private Sector Champion of the year, and Joanna Cloud accepted an award for the Lake Lanier Association’s Shore Sweep event as the Project/Initiative of the Year. 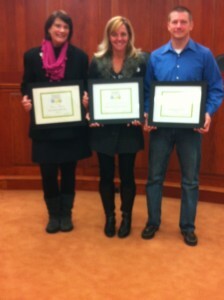 Attached is a photo of Bonny, Joanna, and Robert holding the award certificates. Great work on all parts – both on the front lines, and the behind the scenes folks as well!!! 5000 N. Browning Bridge Rd. Canoe/kayak trash cleanup along Lake Lanier shoreline. Many of the coves along the new park boundaries are full of accumulated trash. The only way to reach the trash is by boat. Many volunteers are needed to help remove the trash. Come visit the new Don Carter State Park on Lake Lanier and help us cleanup years of accumulated trash with a canoe and kayak cleanup. The new state park offers a variety of activities including cabins, camping, beach area, boat docks and soon to be added kayak rentals. It is one of the major stops along the Upper Chattahoochee Blueway Trail from Sautee Nacoochee to Clarks Bridge. Lunch is being donated by Chick-fil-a after the event, and free camping is available for those who want to stay and enjoy the park! You will also receive a T-shirt! Registration is required. Be ready to get wet and dirty! Since we will be working in the lake participants must be over 12, sign a waiver, be able to swim and all participants must wear a PFD at all times. 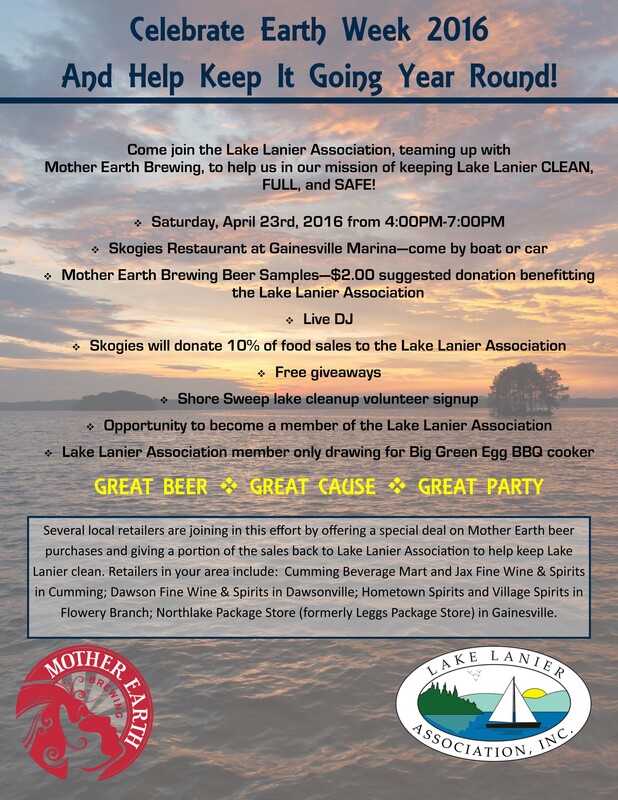 © 2018 Lake Lanier Association. All rights reserved.